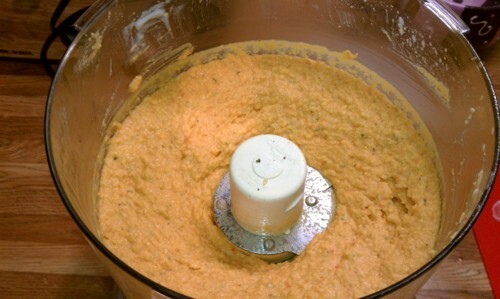 Every two weeks or so, I make up a big batch of hummus in my food processor. I started this ritual about a year ago when I decided it was time to save money on groceries. We use hummus on the sandwiches we make for lunch. I found many recipes online and have settled on making the hummus with plain yogurt instead of olive oil to cut calories and fat. 2. 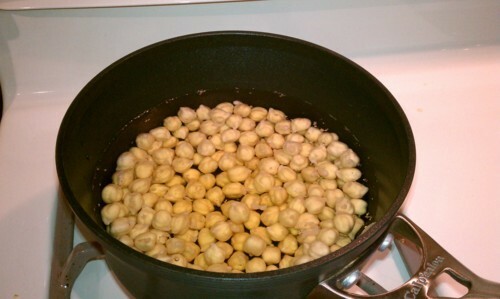 When ready to start, bring the chickpeas to a boil (careful, they boil over if covered for too long). I usually try to boil them at least 20 minutes. 5. 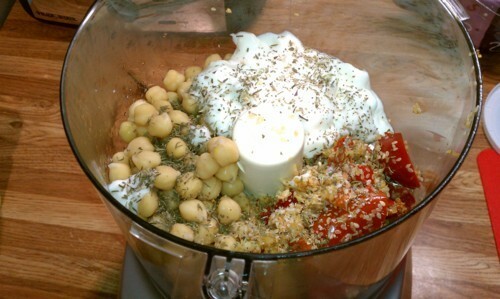 Turn on the food processor for a few minutes. Scrape the sides as needed. Taste test and add more yogurt if it seems too dry. I also added a bit of liquid from the jar of peppers since that was the flavor I decided on. Continue to process, scrape, and add as needed. The longer you run the processor, the smoother your hummus will be. 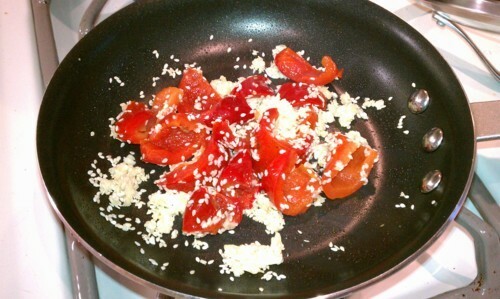 Enjoy on a sandwich or with chips or veggies!